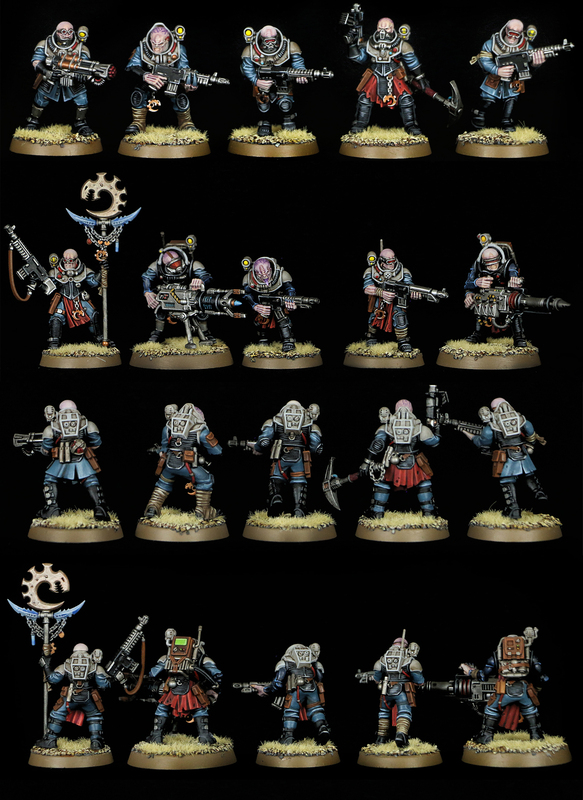 I want to present you my Genestealer Cults Neophyte Hybrids. The miniatures and bases are painted by me using an airbrush and standard brushes. If you are interested in buying them or want to read additional information, please visit my E-bay auction.